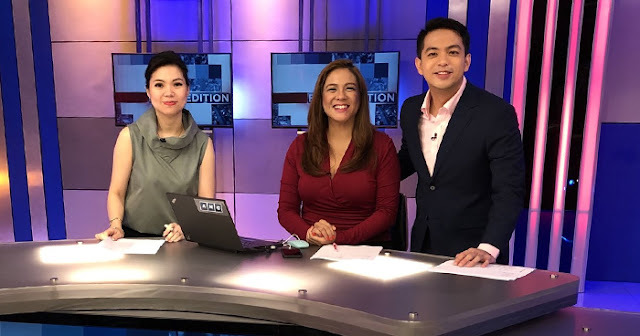 A year into the launch of Early Edition, the ABS-CBN News Channel has introduced Migs Bustos as the morning news program's newest co-anchor Wednesday. The 29-year-old sportscaster, known to many as the anchor of the nightly sports program Gametime — also airing on ANC — takes over the position used to be occupied by Paolo Abrera, who made his exit Tuesday morning. As co-anchor Annalisa Burgos indicated in a tweet, Abrera "will be taking some well-deserved time off from this brutal morning shift." Bustos' arrival doesn't indicate any format changes on the program. He will, like his predecessor, be delivering the latest on sports and entertainment every morning. "Thanks for the warm welcome on #ANCEarlyEdition @AnnalisaBurgos @michelle_d_ong! @ANCALERTS," he posted on his Twitter account.